The filmmakers at Disney have always been brilliant, but they outdid themselves with 2007's Ratatouille, which I thought I had seen long ago, but realized I hadn't upon starting it with Jackson last night. Its "universal acclaim" status with critics makes total sense since the prototypical Disney evil villain is the food critic Anton Ego (voiced by Peter O'Toole). The hilarious script and excellent plot is such a relief in this day-and-age of maximum-overdrive stimulation with most things animated. The film is gorgeous but also simple and elegant. Remy is a rat with a heightened sense of smell and taste who learns how to cook by watching the most famous chef in Paris on TV and reading his cookbook. 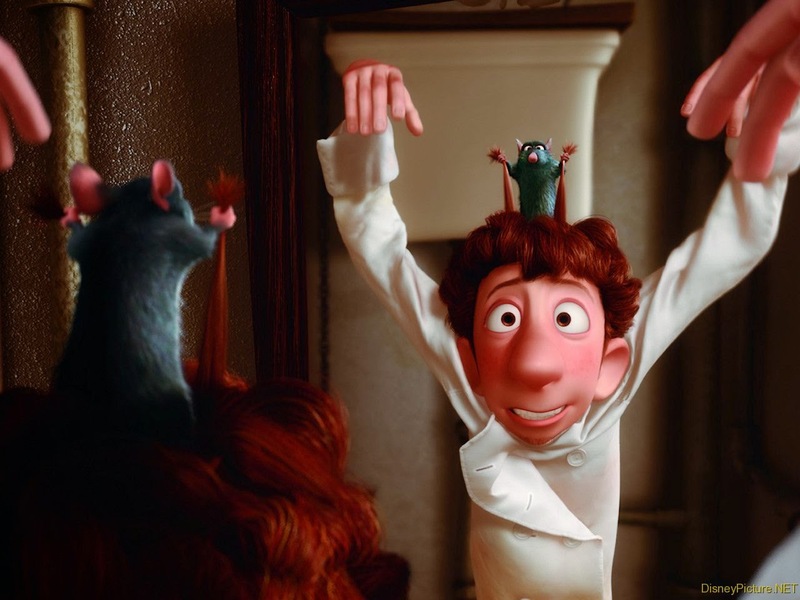 He and his rat friends end up engineering the rare feet of pleasing critic Ego with a dish of "peasant food" ratatouille. Linguini and Colette are the chefs who give the film its human elements. Also quite a feat: Even as I ate dinner while watching, all the rats in Ratatouille didn't ruin my appetite.